NAPLES, FL—Excitedly anticipating how he was “gonna freak,” a local spider told reporters Monday that he couldn’t wait to see the look on a man’s face when he notices him sitting on his shower wall. “This clueless dope has absolutely no idea what’s waiting for him when he pulls that curtain back,” said the spider, adding that even though he had crawled out onto the tile hours ago, the wait was going to be “totally worth it” when he gets to see the man flinch and, with any luck, let out a startled yelp. “He’s going to step into the tub totally oblivious to what lies ahead. He’ll run the faucets, check the water temperature just like always, but then—bam! From then on, he’s always going to be wondering if I’ll be waiting for him each morning, and who knows? 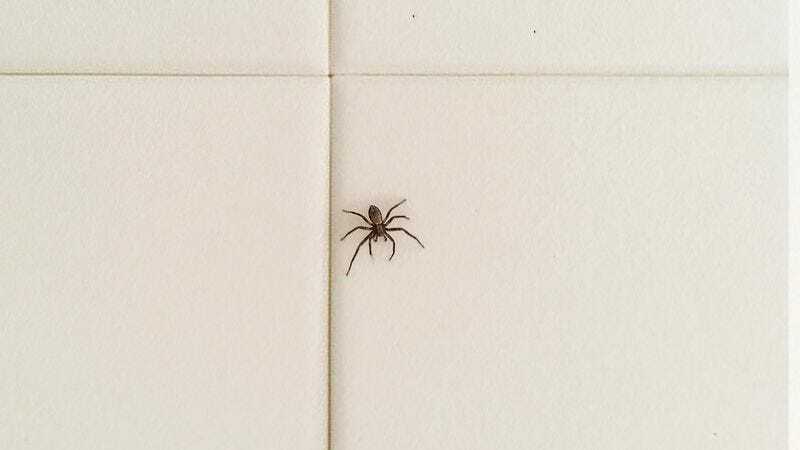 Maybe I will!” At press time, the man had plucked the spider off the wall with a piece of toilet paper, disposed of him in the toilet, and was absentmindedly shampooing his hair.